Hiring a limo for your next corporate event or any other event may seem like a beneficial idea. Although, some of the services are really expensive, so it is always a better idea to gain some knowledge about the reston limo rates before you hire a particular company. With so many limo companies out in the market, finding something appropriate that serves all your needs is a difficult task. However, we, at, Dulles Limo Service offer a neat and well-maintained limo services that are second to none. There are some special events in each one’s life that require a special kind of transportation. Such events may include weddings, proms, anniversaries and birthdays. As these are the special days in one’s life, it is important to make everything during that day special, and th transportation is included as well. Dulles limo offers different themes for the different events, with the limo model, size, and color of your choice. You can choose from our wide range of limos and select something that you love. All our fleet of limos is well maintained and regularly checked for the engine, oil and the alignment of the tire. So, you need not worry about the car breaking down right in the middle of the road. Our chauffeurs are experienced and they know the different routes of the city. They will take care of you and your guests and will make sure that your special event is made more special by our services. Let’s say it’s your baby girls 2nd birthday and you’ve gathered your friends and family at your home. Now, it is the time to go to the birthday venue. With so many people in your home, what do you do? A sensible option would be to hire our services before-hand to eliminate any last minute chaos. Our chauffeur will arrive at your doorstep with the themed birthday car to pick you and your guests and take you to the birthday venue. While at the limo you and your guests just need to party while our chauffeur will deal with the Dulles traffic and worry about the parking. You will be dropped right on the doorstep of the venue. Professional transportation services also come with additional benefits for the corporate events.Apart, from offering airport transportation to our clients, we also offer our clients some advice ie; if they ask for. Let’s look at a scenario. You have an important business deal to make and for that, a client is visiting your company in Dulles. Now, what do you do to impress your client? Do you ask your client to arrive at the airport in a cab or do you send out a limo car at their service? A smart person will always send a limo car for your client because, for many, the first impressions are usually the last ones. Our services will surely impress your client and, usually, such services will transform the way different corporate people demeanor their business. Undoubtedly, for most air travelers the best thing would be to depart from the airport and seeing a perfect car service waiting for you. This option really helps an air traveler because the last thing we would want is to wait in the taxi queue and wait for a taxi. After, a stressful flight, a car waiting at the curb is the best feeling. Our chauffeurs will wait for you at the airport or at the curb, wherever you prefer. They are aware of all the different routes and will drop you to your destination safely and soundly. You can trust our services because for us, the time and safety of the client are always the priority. We only hire the chauffeur after a thorough background check. All of the drivers are holders of a valid driving license and they all are courteous, professional and highly abide the rules and regulations of the traffic. What satisfies the customers? Is it a first-class service or a good customer care? In fact, it is both. When we say our limo services are the best in town, we, in reality, mean it. What makes us different from our competitors is that we offer on time services at all times, our reston limo rates are the best in town- no other company can compete with our affordable limo rates, our chauffeurs are polite and professional and finally, our fleet of limo are new and well-maintained. Our customer care representatives are always available to serve you. You don’t have to wait for office hours to call us, call us anytime of the day, or night- our representative will always be there to answer your questions and tell you more about our services. Our ultimate goal is to make each and every service available for you. This is not it! To make our services better, we even allow short notice bookings as well. Our services will not waste your time and money. We value both! 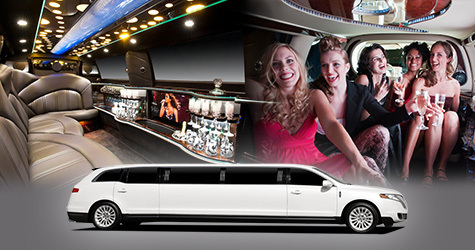 We offer a limo service at all times, and for all occasions.To know more about us, our company and our services, kindly visit our website www.dulleslimoservice.com now. If you want, you can get in touch with our customer care representative by giving us a phone call on 571 257 3646. Talk to them and they will offer the best advice to you and will guide you through our fleet of limos, our services, and our rates. Tell them what service you are looking for. Provide the details of the day, date and time you want to use our services. Alternatively, you can drop us an email at contact@dulleslimoservice.com today and receive a free quote. We are eagerly awaiting your call!